Hello Everyone, Please help support Unnabh's liver. I Udayan Ganguly, father (and Liver Donor) of my only son Unnabh who is now 5 and half years old, make a humble request to generate funds for his ongoing treatment. He underwent a successful liver transplant at ILBS, Delhi on 24th October, 2016 for a congenital liver condition. Unnabh recovered well after the transplant, but has a prolonged hospital stay (87 days). Subsequently he further had certain unusual issues which drastically escalated the cost of post-transplant care. He required stents in his bile ducts as well as in the vessel draining the liver. 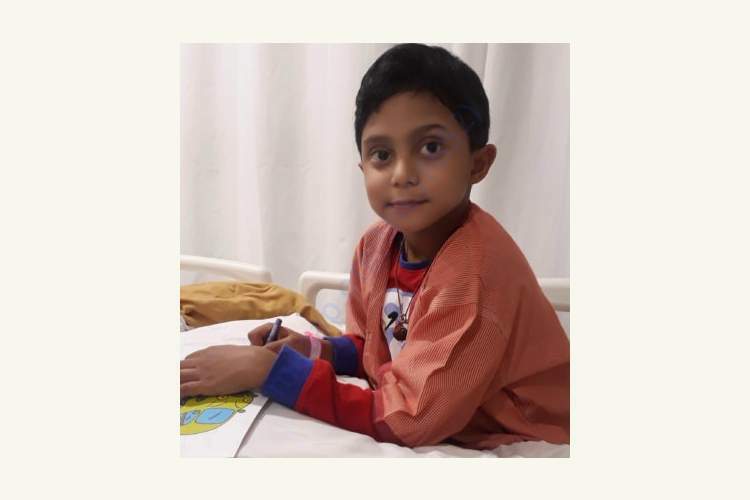 This was not the end to Unnabh's miseries and at 9 months post transplant his liver showed signs of rejection which again required hospitalisation and the immunosuppressive medications were hiked. Unnabh needs expensive laboratory tests on weekly basis, and myself being with him always over last 10 months and earning negligibly, it is getting difficult day-by day for a low medical class family like ours to meet the ends for our daily living.Currently he is being hospitalized for biliary stent exchange and Liver Biopsy. He needs to exchange his biliary stents few more time also and needs treatmentfor his late acute cellular rejection as per latest biopsy report. He might have to go for a splenectomy (removal of spleen) surgery. I need a generous support from everyone and prayers so that he can soon play, join school and do everything as other kids of his age. Even a small contribution can make a lot of difference in our lives. Like any father would do, I am trying my best so that my son can survive and lead a long life as other kids. So please do contribute towards our campaign and also share the campaign so that Unnabh can start going to school again and enjoy playing with his friends. Please feel free do resolve any clarifications by calling me at 09830140224 or the doctors at the hospital site of ILBS (011-46300000). Your share could be as good as a donation for UDAYAN GANGULY! Not everyone can afford to take care of their loved ones. UDAYAN GANGULY's life can only be saved by donations made by kind people like you.